Have you been dreaming of do-si-do? Wishing you could swing your partner round and round? Well, come on down to ArtStarts, folks! This weekend, Paul Silveria is leading free square dance workshops for kids and families in Vancouver and New Westminster. No experience is needed, and even if you have two left feet, Paul will have you promenading in no time! Paul Silveria is a unique and versatile performer who engages audiences of all ages with interactive traditional music. 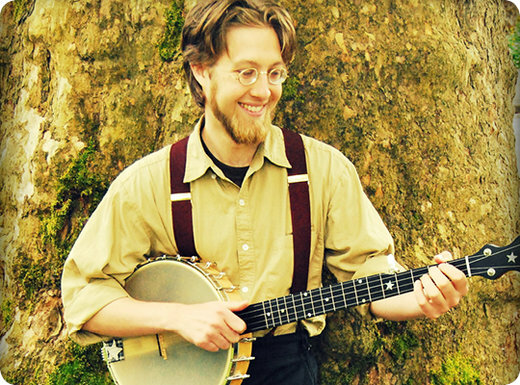 Paul has been playing banjo and calling square dances across the west coast for over 10 years. He'll get beginners up dancing in minutes by teaching dances right on the floor!